With rising healthcare costs and a rapidly aging population, finding sustainable and cost-effective ways to address chronic illnesses is one of the most critical pursuits in health care today. One strategy that has demonstrated promising results is Personalized Health Planning (PHP). An example of its strengths as well as the barriers to implementation can be seen at Duke with a disease management program for patients with Congestive Heart Failure (CHF) that started back in 1998. CHF is a chronic disease that occurs when the heart becomes weak or stiff and is unable to sufficiently pump blood to meet the body’s needs. CHF is common, costly, and potentially fatal. According to the CDC, about 5.7 million adults in the US have heart failure, and the disease costs the nation nearly $31 billion each year in cost of health care services, medications, and missed days of work. This chronic condition accounts for one million hospitalizations annually, and is the leading cause of hospitalization among adults over 65. Moreover, readmission rates for CHF patients are high, due to recurrence of heart failure, as well as low medication adherence, self-monitoring, and follow-up. Strategies to improve CHF prognosis and reduce readmission rates should focus on patient engagement outside of the clinical encounter. How can personalized health planning benefit patients with CHF? PHP aims to make health care more proactive, personalized, and patient-centered through methods that engages patients in their care. In particular, PHP integrates wellness training and long-term planning into the traditional appointment model. Many patients with CHF suffer from multiple illnesses or co-morbidities, and need the support of different teams of health care providers (primary care, tertiary care, etc.) to effectively manage their health. PHP empowers the patient to take charge of their own health by engaging them in education and goal-setting through a tailored health plan. It shifts the emphasis of care away from high-intensity, expensive inpatient treatments to preventing, coordinating, and managing the illness in outpatient, or primary care settings. Furthermore, this personalized health plan allows for care coordination across clinical team members and across specialties within a health system. What happened in the Duke CHF case study? 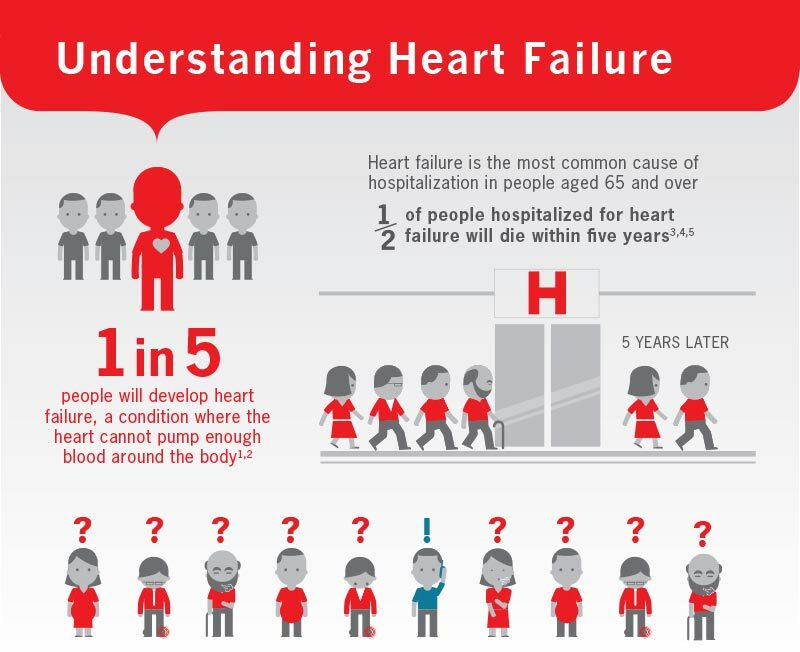 Duke set up the Duke Heart Failure Program (DHFP) based on the personalized health planning model. Protocols were developed for the management of medications, and a patient education manual was created that covered topics such as the importance of each medication, the potential adverse effects, appropriate actions to take if such effects occur, and resources available to CHF patients. Additionally, clinical teams maintained provider-patient contact through follow-up visits and regular telephone calls, while health coaches provided complementary support and education for each patient. The results were striking. Within two years, hospitalizations per patient-year decreased from a median of 1.5 to zero, and clinic visits significantly increased. The PHP approach improved health outcomes for patients and cut costs nearly in half. Empowered with education and clinical team support, patients showed active participation in the program and a desire to make positive lifestyle changes. Why did the program get discontinued? In the end, the CHF program reduced the average cost of treating patients by $8,600, or about 40%, by improving their outcomes and reducing their hospital admission rates. By shifting more of the care to outpatient settings, more money was spent on health coaches and clinics rather than treatments in the hospital. However, Duke faced an unfortunate paradox: the healthier its patients were, the more money Duke lost. Ultimately, it decided that this program was unsustainable because the hospital was losing too much money by reducing readmissions and therefore opportunities for billable care. What are the lessons we’ve learned from that case study? The current reimbursement system continues to primarily reward old models of care, and not more proactive, preventive models like personalized health planning. Alternative payment models are necessary to incentivize proper disease management, coordination of care, and activities such as follow-up calls that are currently not reimbursed in the fee-for-service, volume-based payment system. Models such as bundled payment and Accountable Care Organizations (ACOs) aim to shift payment in health care towards focusing on value and quality, rather than volume of services provided. Today, Duke offers the Same-Day Access Heart Failure Clinic, which offers counseling, dietary management, and medical adherence support to CHF patients. Part of the motivation to establish this program came from the Centers for Medicare and Medicaid Services (CMS). In 2012, the CMS announced financial penalties for facilities with readmissions for the same condition, such as CHF, within a 30-day timeframe. To prepare for these changes, Duke established the Clinic to offer an alternative to the emergency room to avoid unnecessary hospital stays. Patients are taught self-management and given tools to promote successful transitions from hospital to home. Clinicians provide follow-up care consisting of phone calls 24-48 hours post-discharge and biweekly to weekly office visits until the patient is stable. Since its initiation, the Duke University Health System has seen a 15 percent reduction in readmissions from CHF patients. Due to the CMS regulation, it is now financially feasible and necessary for Duke to establish programs that engage patients and improve outcomes, in order to avoid payment cuts incurred from high readmissions rates. This program demonstrates the power of proactive disease management programs, and the necessity of financial incentives to establish these programs. Research and practice continues to show that preventive and personalized approaches are crucial to creating better outcomes for patients while controlling costs. Now we need to continue restructuring delivery and payment mechanisms to meet this imperative. An interesting look into the complex interplay between the pursuit of sustainable healthcare and the need for modification of current economic reimbursement systems. The Duke Heart Failure Program (DHFP) was in many ways a success story, and a significant example of the benefits associated with personalized health planning. Thus, it was quite jarring to see the subtitle “Why did the program get discontinued?” In focusing on the widespread positive effects of PHP on patient care, I had forgotten to consider the effects of this system on current models of reimbursement, and I had underestimated how much health care institutions derived sustenance from volume of care provided. In a recent digital health talk that I attended, the speakers termed this economic shift in clinical care as the “volume to value revolution.” Evidently, this revolution must occur concurrently with the implementation and dissemination of PHP across various healthcare systems, but it is not as simple as its four-word catchphrase suggests. How exactly can we work to quantify and standardize the analysis of value in patient care? I, too, had not considered the extreme negative impact the program would have on hospital finances.But in reality, and in retrospect, it should have been abundantly clear that with heart failure accounting for one billion hospitalization annually and being the leading cause of hospitalization in those over 65,that if the program were a success it would be unsustainable under the current reimbursement system. That said, what a sad commentary that a patient’s health must suffer in order that a local hospital can keep it’s doors open. And this will be true across the United States. I am a patient who suffers with CHF and was so excited to learn of this program and began to read about it immediately as I am within driving distance of Duke Hospital. What a true let down to see that it was discontinued. I believe it is the only program I have heard of that was discontinued not because it ineffective but because it was effective. There just must be an answer.Patient lives are at stake ! Thank you Duke for trying. Like you said, it’s disappointing that the original program was discontinued since patient lives are at stake. Thus, we all need to stay vigilant and continue pushing hospital administrators and policy makers to redesign financial systems so that we can reward quality and value of care, rather than volume of services provided. We need to keep the patient at the center of health care decisions.